In the face of such trends, it is clear that the fight against religious intolerance and discrimination must be a key political priority for the international community, and in particular the UN and its Human Rights Council. 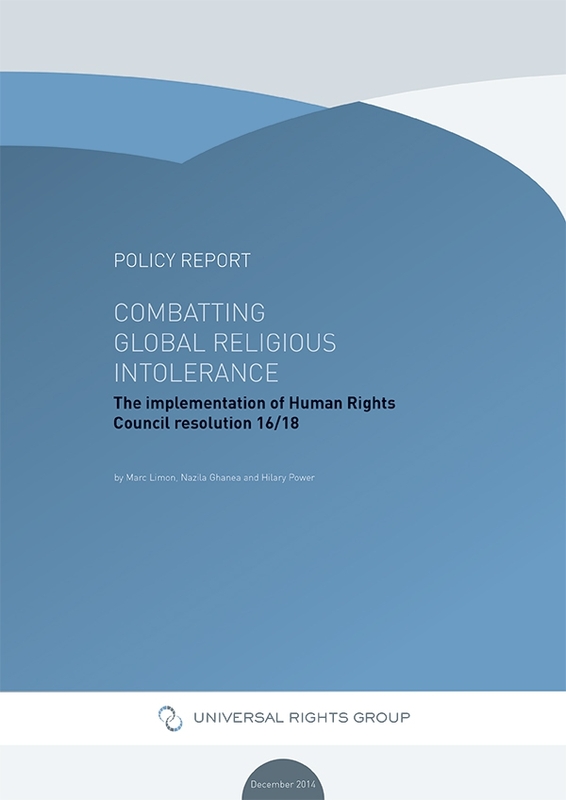 The main UN global policy framework for combatting intolerance, stigmatisation, discrimination, incitement to violence and violence against persons based on religion or belief is set down in Council resolution 16/18. Resolution 16/18 was adopted, with much fanfare, in March 2011 and hailed by stakeholders from all regions and faiths as a turning point in international efforts to confront religious intolerance. After more than five decades of failure, UN member states had, it was hoped, at last come together to agree a common, consensus-based approach and practical plan of action. Almost four years on, and against the aforementioned backdrop of heightened religious hostility, UN consensus around the ‘16/18 framework’ is at breaking point. Rather than working together to implement the 16/18 action plan, states have returned to pre-2011 arguments over the nature of the problem, the correct role of the international community, and whether the solution to intolerance lies in strengthening the enjoyment of fundamental human rights or in setting clearer limits thereon. These divisions have re-emerged, in large part, because of conceptual confusion among policymakers about what implementation of resolution 16/18 means and what it entails. Linked to (and indeed flowing from) this conceptual opacity, states – especially states from the Western Group (WEOG) and the Organisation of Islamic Cooperation (OIC) – argue over whether resolution 16/18 is being effectively implemented or not and, if not, who is to blame. The present policy report aims to help put the 16/18 framework ‘back on track’ by cutting through the political rhetoric to understand the different positions of key actors and how to bridge them, and by providing an impartial assessment of levels of implementation. The report ends by proposing a set of recommendations designed to ‘re-energise’ the 16/18 process and thereby strengthen the international community’s ability to effectively respond to rising intolerance and discrimination.